Welcome back, everyone, to the Star Wars Time Show! Matt is back from his trip to Disney and is ready to talk all things Star Wars, so let’s get into it! Our first topic of this week’s cast is discussing Matt’s trip to Disney World in Orlando, Fl. Even though his trip was short, Matt got to experience pre-Galaxy’s Edge Hollywood Studios, which is both good and bad. Good because he sees where Disney Star Wars all started. One ride, one shop, and bad because he now has to wait for another Disney trip to experience Galaxy’s Edge! Moving into our proper cast topics, we kick off with the always fun Top 5 Instagram pics of the week. Again, make sure to follow all of these fantastic artists! Then, we move on in our Fandom section to the introduction of a true Star Wars legend into Galaxy of Heroes. Darth Revan has been announced as the newest villain for the game. 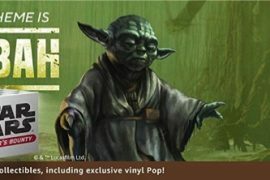 The last fandom piece this week is around the newest Black Series figure announced by Hasbro, Dagobah Luke Skywalker. 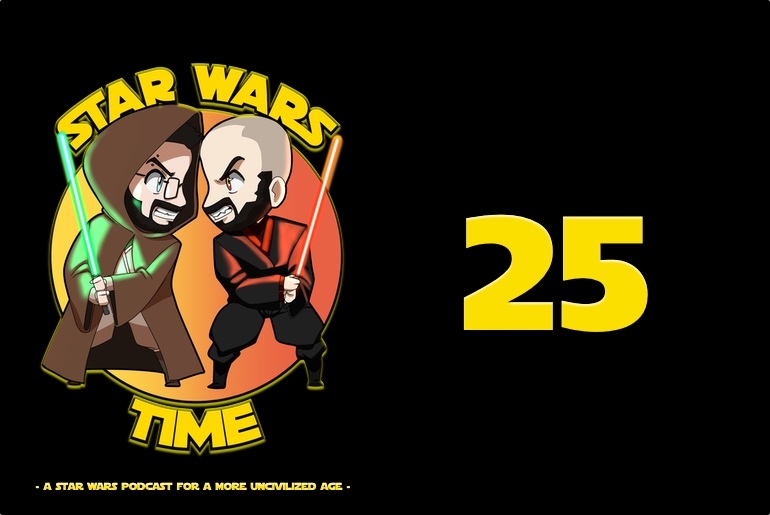 Our next couple of topics both pertain to Star Wars Celebration 2019 in Chicago and both are about new panels. New panel #1: Bringing Star Wars: Galaxy’s Edge to Life will explore the time and effort put in by Lucasfilm and Disney to create Galaxy’s Edge. New panel #2: Episode IX. Yes, the panel we have all been waiting for has been announced and will be happening on Friday, April 12th. Matt and I pretty much guarantee that this will also be when the first official trailer drops for Episode IX, so be ready! The last topic for the day goes into an interview Oscar Isaac had with Sirius XM radio host John Fugelsang. In this interview, Oscar discusses working with Carrie Fisher and what we can expect to see out of the cut footage that was stitched together for her part in Episode IX. As always, make sure to hit those follow buttons on our social channels, subscribe to the podcast, and share it with your friends!